We host speaking events for schools, businesses and other organizations to educate on ways to combat mental health stigmas. We promote social awareness by inviting others to take the Pledge to ReThink the Stigma and spread this mission. We facilitate a safe space to discuss mental health topics and empower people so they no longer feel alone or ostracized. We redistribute donations to affiliated nonprofits who support our mission in additional ways, such as influencing public policy, advocating for equal rights and providing life-changing health care solutions. 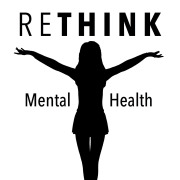 Would you recommend RETHINK MENTAL HEALTH INCORPORATED?